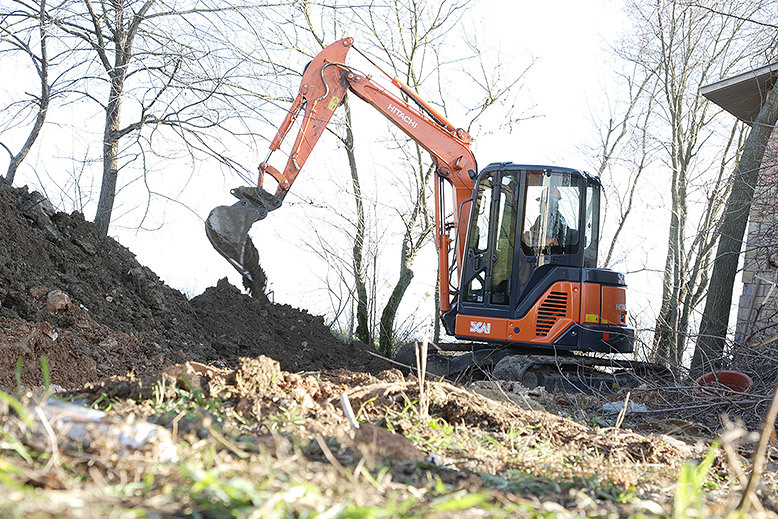 Hitachi mini excavators are known for their efficiency and innovation. Used mainly in densely populated urban areas, they have been designed to function efficiently and safely in narrow jobsites. 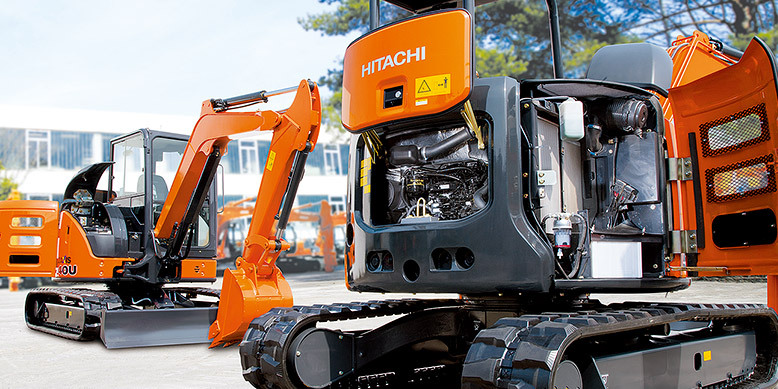 With 23 models in operation worldwide, ranging from 800 kg to 5,400 kg, Hitachi mini excavators provide the right type of service whatever your construction needs. The increasingly-popular zero tail swing type has a reduced cabin back that doesn’t hang over the crawler. This prevents damage from contact with job site obstacles, which in turn reduces operator stress from worrying about accidents. This is why so many of Hitachi’s zero tail swing mini-excavators are used for narrow job sites. In order to function in such narrow spaces, excavators also have to be safe. Hitachi mini excavators come equipped with various safety features, such as TOPS (tip-over protective structure) and FOPS (falling object protective structure). To avoid the dangers of urban construction, our machines meet ISO safety standards. Reduced noise for nighttime construction and low exhaust emissions also make these machines more environmentally-friendly. Hitachi’s commitment to maintaining top efficiency while considering the construction environment is exemplified by our mini excavators. There have been over 80,000 worldwide shipments of the mini excavator since 1991. (The 80,000th was shipped on January 2004) We have always been at the forefront in the development of technology and we are aiming for even greater efficiency in the future.